Is my MPG Gauge Accurate? Have you ever noticed after you have put a full or even a partial tank of gas in your car that the MPG Gauge seems to be off by quite a bit? You have just put gas in the tank and have started driving down the road and the gauge drops drastically, or your MPG computer says that you have several miles to go when the gauge is on empty or below. These are some different scenarios that some people have reported when talking about whether or not the MPG gauge is really accurate or not. Some vehicle owners often wonder which to trust the MPG gauge or the needle on your dash board that goes up and down between full and empty. Some vehicle owners say that the gauge is not accurate because it says that you have fifty to one hundred miles to go before you are expected to run out of gas, but you have found out the hard way that you are out right there on the side of the highway because not only is the needle pointing at the, “E” for empty, but the gas light has been on for the last several miles warning you that you are about to run out of gas, so you had better make arrangements to stop somewhere to fuel up soon. If the gauge says you have a lot more miles than it looks like by the indication on the instrument on your dash board, then it is better to stop and put at least some gas in your vehicle if not fuel up completely depending on where you are and where you are going and how many gas stations you may or may not find open in between the two locations if you are out in the middle of no where, where your options might be minimal. 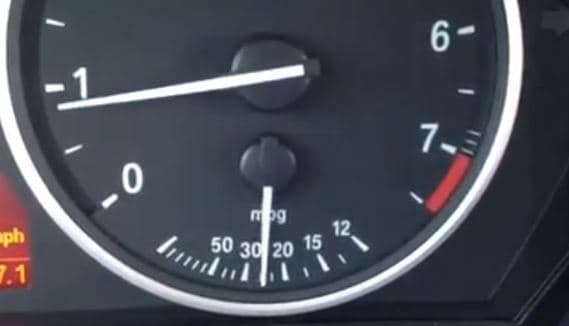 The bottom line is that in some vehicles it may be more accurate than others, but some vehicle owners may claim that the gauge is not accurate at all. It really depends on the make, model, year, and the condition of the vehicle whether or not the MPG gauge is accurate. You might check with other people who own the same make and model of vehicle and see if they notice similar problems with their vehicle and see if the year of their vehicle is about the same as yours.